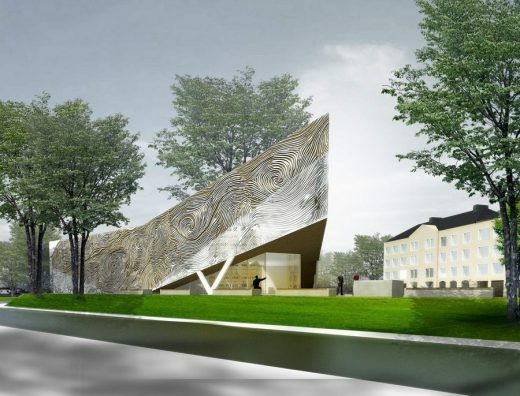 Due to the fact that in Koblenz (Germany) a synagogue is lacking Herrmanns Architekten (Prof. Henner Herrmanns and Hung Nguyen) have proposed as a feasibility study for a Koblenz Synagogue. 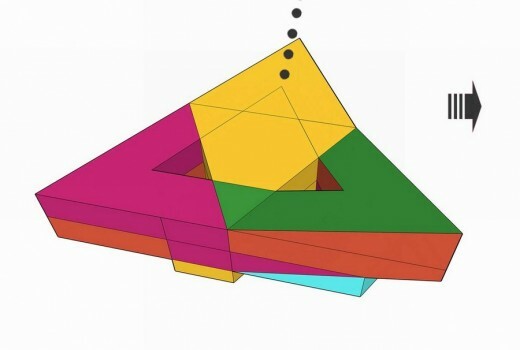 The form of the synagogue is to be understood as a response to the precarious triangular site. It is placed so that a square is formed at a corner of the property as an open space. 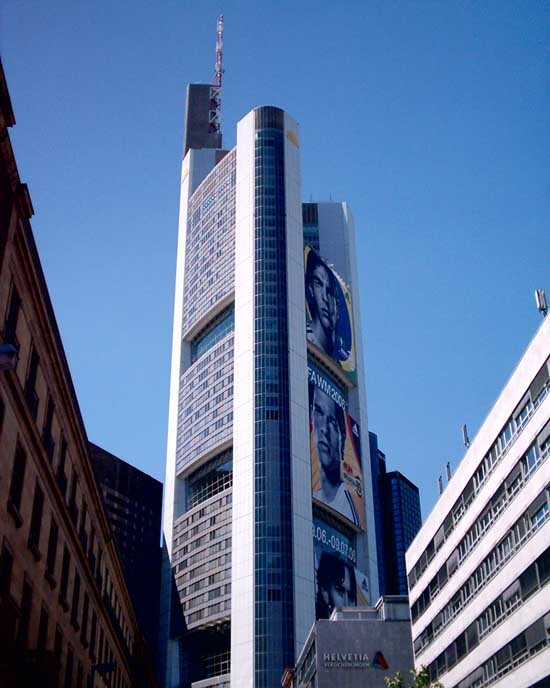 The building is partially lifted off the ground and the glazed front entrance welcomes the people. The landscaping and shaped pathways are an integral part of the building’s appearance. The outdoor areas invite people to stay. The ground floor level is characterized by large open spaces allowing for direct and dynamic circulation. 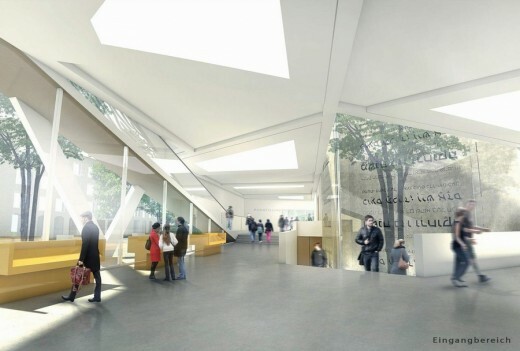 The fluid ground floor concept takes users into the open and dynamic spaces of the buildings inside. 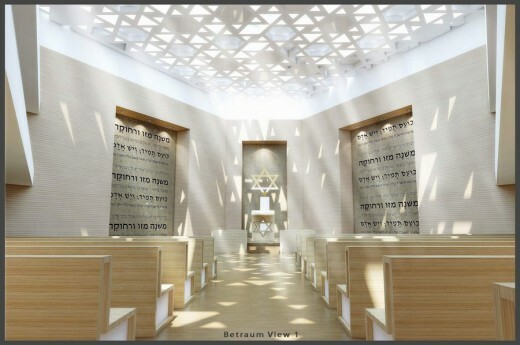 The floor plan disposition meets the user requirements of the Jewish community. 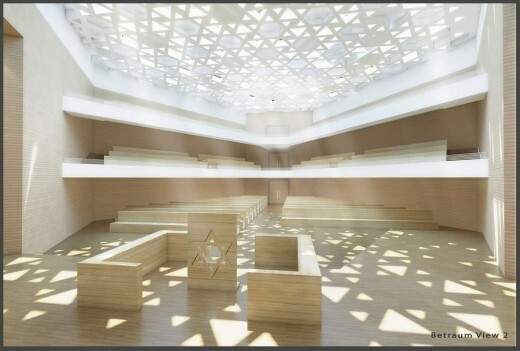 The prayer room in the angular monolith is illuminated by a skylight. The demand for the symbolism of a synagogue building is met by the tattoo facades. The architecture is intended to support symbolic action and thinking. 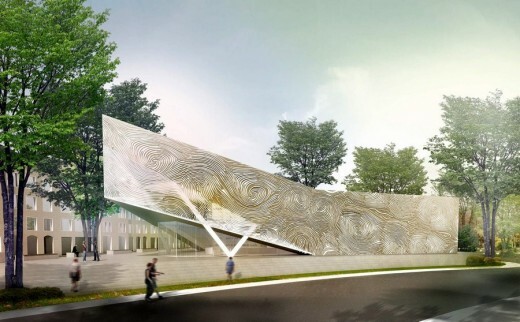 So the facade consists of a metal skin, which gives the building’s form a homogeneous appearance and which is provided with the image of fingerprints to represent the horrific acts of the Holocaust. The architects are of the opinion that Architecture becomes art when the idea of a building touches a meta-level. If it doesn’t touch a meta-level it is only a building. So the form of the synagogue must be loaded with information.